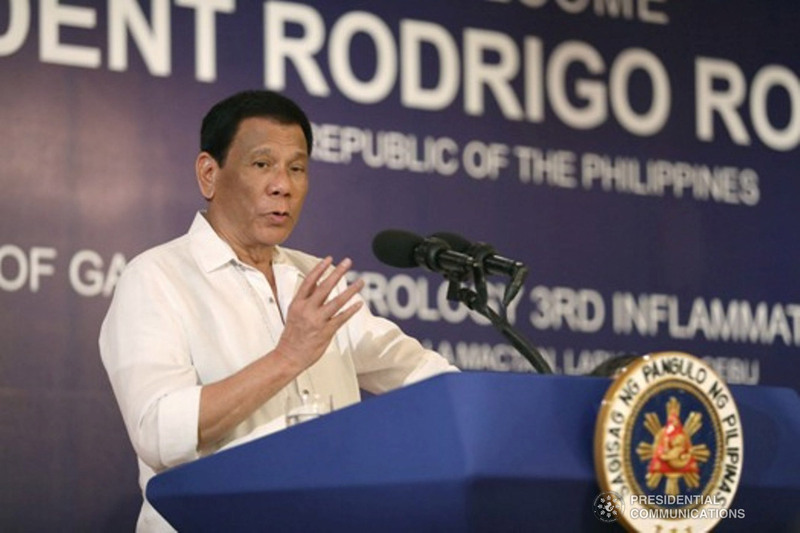 BUTUAN CITY, Sept. 28 (PIA) - President Rodrigo Roa Duterte is set to visit the Philippine Army’s 401st Brigade at Camp Datu Lipus Makapandong in Brgy. Awa, Prosperidad, Agusan del Sur on Saturday, Sept. 29. President Duterte will lead the donning of ranks and awarding of medals to deserving troops under the 401st Brigade. He is expected to arrive at the venue by 4 pm and will speak before some 400 soldiers and civilian personnel from the 401st and 402nd Brigades. He is also set to hold an executive briefing with military officials led by 401st Brigade Commander BGen. Andres Centino. SURIGAO CITY, Surigao del Norte, Sept. 28 (PIA) – The province will once again host the biggest international event - the 24th World Surfing Cup from September 28 to October 4, 2018 at Cloud 9 in General Luna, Siargao Island. Around 150 professional surfers and big names from the international surfing circuit from Australia, England, France, Hawaii, Indonesia, Japan, Mexico, New Zealand, South Africa, Spain, Tahiti, and United States are expected to vie in the universally-acclaimed biggest WQS3,000 ranking. 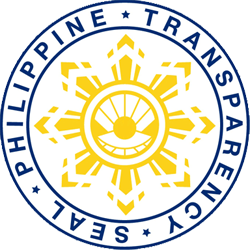 A report from the Department of Tourism revealed that the national government has allocated some Php15 million as support to the local government, covering major highlights and side events. House speaker Gloria Macapagal-Arroyo and Davao del Norte 1st district representative Pantaleon “Bebot” Alvarez are expected to attend the opening ceremony together with other delegates from the tourism department. BUTUAN CITY, Sept. 28 (PIA) - The Department of Tourism (DOT) Caraga is spearheading the opening of the 29th National Statistics Month on October 2, 2018, 3:00 p.m. at the Robinsons Place, this city. “The event will highlight two major activities for the month-long celebration – the Tourism Statistics Logo-Making Contest and Infographics Contest (Best Display of Agency/Local Government Unit/Academic Data through Infographics),” said Dir. Nuguid. The lady director also said that DOT Assistant Secretary Roberto Alabado III will be the keynote speaker during this event, while Acting Deputy Director Reynaldo Macion of Bangko Sentral ng Pilipinas (BSP) Butuan City branch will lead the discussion on inflation. The annual celebration is pursuant to Proclamation No. 647 “Declaring the Month of October of Every Year as the National Statistics Month” issued on September 20, 1990 by then President Corazon C. Aquino. SAN JOSE, Dinagat Islands, Sept. 28 (PIA) – The Provincial Information Office of Dinagat Islands strengthened the capability of its Barangay Information Officers (BIOs) through the conduct of orientation and capability seminar on September 11-24, 2018 in the seven municipalities of the province. The orientation and capability seminar purposely aimed to have direct access and linkages with the barangay community and enable BIOs to act as reporters via radio or cable TV news, provided that they can comply with requirements duly set by the local government unit of the province. During the said activity, the BIOs were oriented on disseminating information about how to be prepared in times of calamities and disasters such as floods, earthquake, fire, storm surge, tsunami, typhoon and landslide, mobile photography and how to avail the services of PUSO (Public Utility Services Outreach) program of the province. The BIOs were also given a flashdrive, compact disc, tarpaulin and brochures that include the Early Warning System videos for them to be prepared in times of disasters and calamities. PROSPERIDAD, Agusan del Sur, Sept. 28 - Carrying out the mandate to help its poor constituents, the Provincial Local Government Unit of Agusan del Sur under the leadership of Governor Adolph Edward G. Plaza officially obtained the list of poor households from the Department of Social Welfare and Development (DSWD)-Caraga through the National Household Targeting Section (NHTS). This was after the recent turnover of the datasets by Regional Field Coordinator Aldie Mae A. Andoy and Regional Information Technology Officer Raffy R. Pocon to Provincial Administrator Ronulfo R. Paler and Provincial Social Welfare and Development Officer Razel Montemor on August 24, 2018. The said database was the result of the second household assessment conducted by the Department in 2015. It contains demographic and socioeconomic status of the identified poor households, which is highly significant to easily target the poor, vulnerable, and disadvantaged sectors in the region. According to Paler, the datasets are timely in achieving their goal and ambition to eradicate 10 percent of the poverty incidence in the province. “With the official list of poor households, it is easier for us to direct our interventions to the poor, especially that we have various programs and services intended to help our constituents who are in need,’’ he added. The datasets were given to AgSur after complying all the requirements set by the NHTS in accordance with the Data Privacy Act of 2012 which includes request letter, resolution authorizing the governor to enter into Memorandum of Agreement (MOA) with the department, among others. To date, the NHTS is working with all provincial governments, National Government Agencies, and other partner-stakeholders in identifying potential beneficiaries for the implementation of social protection programs and services by using the Listahanan 2 database. AGUSAN DEL SUR, Sept. 28 — About 100 out-of-school youth who were enrolled in Jobstart Philippines Program simultaneously started their Life Skills Training (LST) recently at STI College-San Francisco and Jerome’s Place-Trento, this province. The objectives of the program are to improve the labor market information available to youth by strengthening Philippine Employment Service Office (PESO) capacity to offer timely, accurate information on job vacancies and needed skills, and assist with job searches; and provide youths with access to technical and life skills training demanded by employers, opportunities for work experience with learning on-the-job, and mentoring and tools for improving job searches and their outcomes. DOLE-Caraga regional director Chona Mantilla bared that the JobStart Life Skills Training is a crucial stage in the JobStart Philippines Program given to youth beneficiaries who completed the career guidance and employment coaching (CGEC) session and were randomly selected as beneficiaries. “It sought to prepare the participants for job matching with internship positions offered by JobStart partner-employers who will provide them with internship slots in their companies where they will undergo up to three months of technical training and up to six months of internship, both with stipends,” she said. It was also learned that the two training areas were selected by the Institute for Integrality, the official service provider of the LST for jobstarters. There were 77 jobstarters enrolled for the training held at STI College-San Francisco while 23 were trained at Jerome’s Place in Trento. The trainers were trained by the Jobstart facilitators - Jodelyn Martin and Sherelley Mangubat. 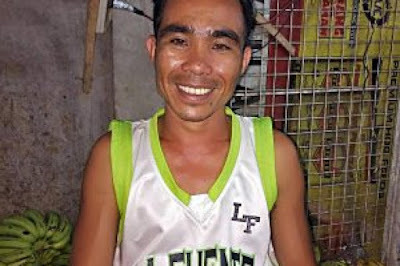 “Nalipay ko kay sa pila ka bulan na ko na hinulatay, maka sugod na gyud ko og training ug matudluan na ko unsaon ang pagpangandam sa pagpanarbaho (I am happy that after months of waiting, I will now be trained for me to become job-ready),” Ma. Innah Veletero, Jobstarter from Prosperidad, Agusan del Sur said. JobStart Philippines Program fully funds the ten-day life skills training program and it provides the JobStarter with Php200.00 daily allowance. The training’s life skills modules include knowing one’s self, the world of work, personal branding, job hunting, financial literacy, health and well-being, and networking. SURIGAO CITY, Surigao del Norte, Sept. 28 (PIA) – Micro entrepreneurs are step closer to achieving better business performance with the help of local stakeholders in government and private institutions as the Kapatid Mentor ME (KKME) program rolls towards its 2nd Batch in the province on September 14, 2018 at Hotel Tavern, this city. Around 91 micro-enterprises gathered and participated in the lectures of Module 1: Entrepreneurial Mindsetting and Values Formation and Module 2: Marketing which were discussed by Armando “Butz” O. Bartolome, President of GMB Franchise Developers, Inc. and John Paul “PJ” P. Lanot, President of Pino Groups of Restaurant, respectively. During the lecture, Bartolome shared his experiences and entrepreneurial journey in attaining business success. With it and emphasized that having good values will contribute to success in business. Meanwhile, Lanot discussed the dynamics of marketing which can help build up brands for customers to remember. The KKME Program is an initiative of the Department of Trade and Industry (DTI), in partnership with the Philippine Center of Entrepreneurship (PCE) in support for the country’s MSMEs. The program is composed of lecture and mentoring sessions in 10 weeks, which one module is covered per week. The lecture sessions aim to help the mentees with the technical concepts in developing their businesses. Three years have passed since the light of Jaso’s home was dimmed. Losing the light of their life last September 2015, the family was filled with grief and hatred; and as their home was about to completely fall down, Jefry, as a father, gained back his senses. 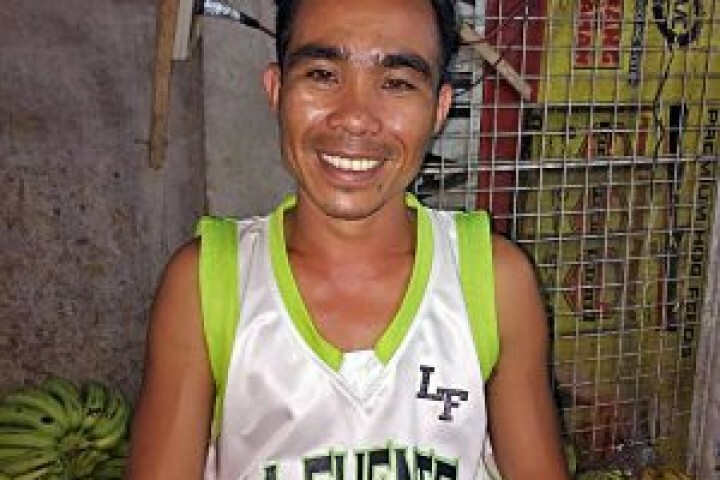 Jefry Jaso is a 33-year old beneficiary of the Pantawid Pamilyang Pilipino Program (4Ps) residing in Brgy. Tagubay, Bayugan City, Agusan del Sur. When his wife allegedly eloped with another man, he was devastated. He would often wrestle with thoughts of falling short as a father. “Ang ako gyung una nahuna-hunaan mao ang akong mga anak, kay basin dili nako makaya nga padak-on sila og tarong (My first thought was focused on my children because I was afraid not to be able to raise them properly),” he recalled. With the help of their parent leader and city link, he slowly overcame his doubts. From then on, Jefry doubled his time investing for his children French Ler Jones, 12 and Frenz Kyrrle, 10. He gathered all the strength in the world and decided to live his life for them. He continued what her wife started as a former 4Ps beneficiary, and strengthened his sense of responsibility and obligation. 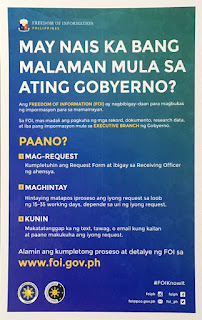 “Gipadayon nako ang pag-apil sa mga FDS ug uban pang kondisyon sa 4Ps samtang nagpaabot nga mahatagan og bag-o nga cash card, og wala gyud mabutang sa wala ang akong pagpaningkamot (I continued attending Family Development Sessions and other conditionalities of 4Ps while waiting for the release of a new cash card, and all my sacrifices paid off)," he shared. After receiving the cash grant, he renovated their house, bought the needs of his children, and invested in his farm by planting falcata trees. Untill now, Jefry is still not sure if he is doing well enough for their future. The only important thing inside his heart is to love his children so much that they would never realize they are being raised by a single father.